For those of you in the DC area, you know we had a “snow day” last week that ended up being a total bust. There may not have been any real snow, but that did not stop people from completely panicking and shutting down schools and office buildings. 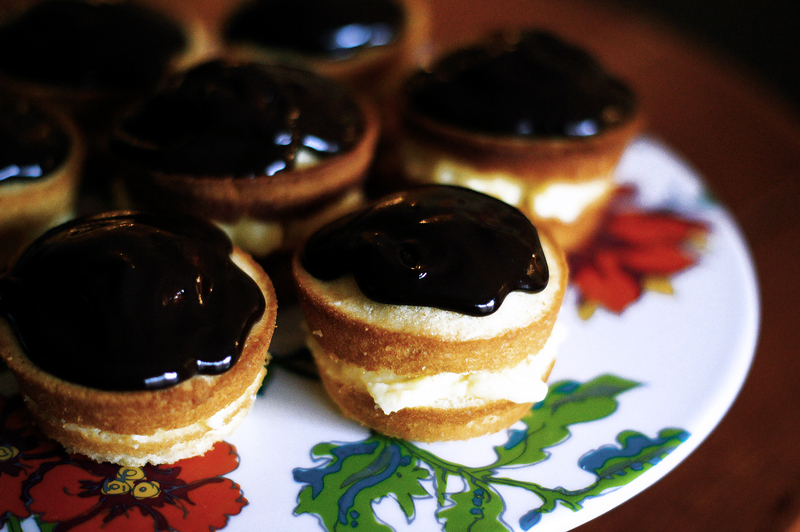 I used the extra day at home to my advantage, and made a batch of these Boston Creme Cupcakes. I wanted to try this recipe not only because it looked awesome and delicious, but it also gave me a chance to make vanilla pastry cream, which I hadn’t done before. It was not too hard! The cream requires nearly constant attention and whisking, but only takes about 10 minutes to pull together. 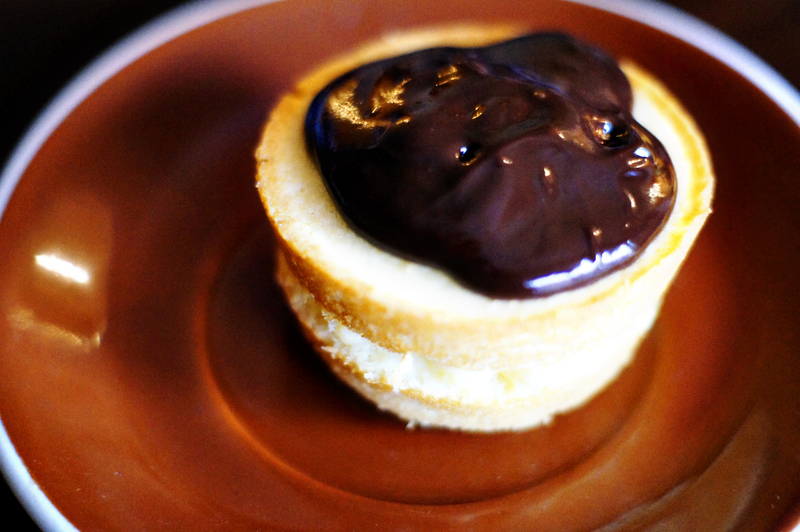 The ganache glaze is also fairly simple, no double boiler required. In regards to order of assembly, I would make and refrigerate the cream first, then make the cupcakes, and make the ganache while they cool, right before you are ready to assemble. Enjoy! Preheat oven to 350 degrees. Butter and flour standard muffin tins (or spray them with Bakers Joy, as I did). Whisk together flour, baking powder, and salt in a small bowl. Warm milk and butter in a saucepan over low heat (or microwave it together, as I did). With mixer on low speed, add warm milk mixture to batter, and beat until smooth. Add vanilla. Divide batter among muffin cups, filling each halfway. Bake cupcakes until light gold, about 15 minutes. Let cool in tins for 10 minutes, then transfer to wire racks. Let cool. Using a serrated knife, cut each in half horizontally. Spread 1 tablespoon vanilla cream on each cupcake bottom. Sandwich with top. Spoon glaze over each. Serve immediately, or let cool in the refrigerator for about 30 minutes. This allows the ganache to harden and makes for a slightly less messy cupcake! Pour 1/3 of milk mixture into yolks, whisking constantly, to temper the eggs and prevent them from curdling. Pour the egg/milk mixture back into the saucepan, and cook over medium heat, stirring often, until thick, 2 to 4 minutes. Stir in vanilla. Pass vanilla cream through a fine sieve into a bowl (I used a fine mesh colander). Press plastic wrap directly on surface. Refrigerate until cold, at least 1 hour, or up to 2 days. Place chopped chocolate in a heat proof bowl. Bring cream to a boil in a small saucepan. Remove from heat, stir in corn syrup and pour the mixture over the chocolate. Let stand for 5 minutes. Whisk until smooth. Let cool, stirring often. Use immediately.